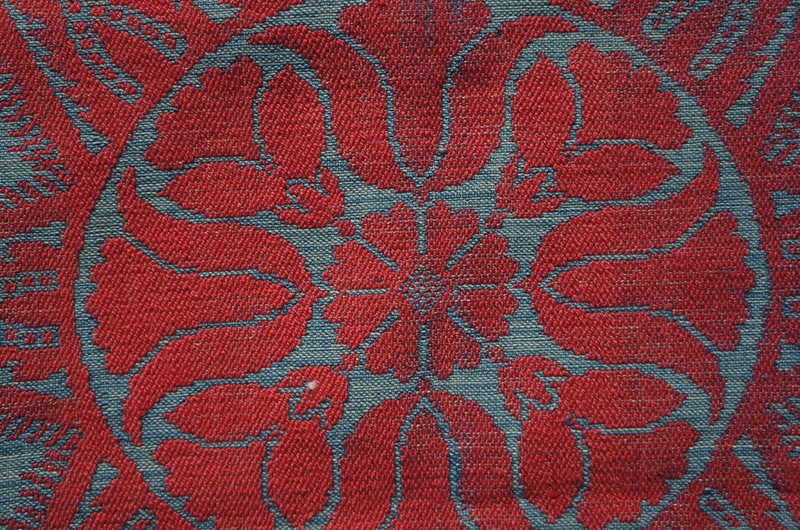 with extra red wool weft. jacquard woven design. fragment.